ILSR co-director Stacy Mitchell was the guest for a special edition of Strong Towns’ webcast earlier this year. 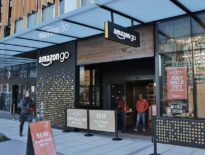 Stacy spoke with Strong Towns co-founder and President, Chuck Marohn on topics like Amazon, tax incentives, retail concentration, and big-box stores. Stacy also fielded questions from viewers on the grocery sector, the history of American antitrust, ecommerce regulation, and Amazon’s extensive ties throughout government. Watch, or listen, to their full conversation below.